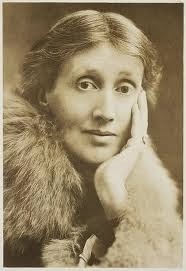 Virginia Woolf is one of my top favorite novelists and writers. As an English major at Wesleyan University, my concentration was Modern British Literature, and I had the pleasure of taking that course, as well as a seminar on Virginia Woolf with Professor Carol Ohmann. My favorite Woolf novel is MRS. DALLOWAY. Now, at age 51, the same age Clarissa Dalloway is in this novel which runs over the course of one June day in 1923, I realize what a preparation this novel was for my life, though I was only 20 when I read it. "I want to give life and death, sanity and insanity; I want to criticise the social system, and to show it at work, at its most intense." Since I do have Post-Traumatic Stress Disorder as the result of being the victim of a violent crime in 1991, and as a result of having been misdiagnosed with bipolar II disorder, and subsequently traumatized by the mental health care system, from 1994 until 2008, I thoroughly understand what she was doing. Even as a young woman, Septimus Smith wrenched my heart. He was the veteran of the Great War, WWI, who had "shell shock," i.e. PTSD. "Dearest, I feel certain that I am going mad again. I feel we can't go through another of those terrible times. And I shan't recover this time. I begin to hear voices, and I can't concentrate. So I am doing what seems the best thing to do. You have given me the greatest possible happiness. You have been in every way all that anyone could be. I don't think two people could have been happier 'til this terrible disease came. I can't fight any longer. I know that I am spoiling your life, that without me you could work. And you will I know. You see I can't even write this properly. I can't read. What I want to say is I owe all the happiness of my life to you. You have been entirely patient with me and incredibly good. I want to say that—everybody knows it. If anybody could have saved me it would have been you. Everything has gone from me but the certainty of your goodness. I can't go on spoiling your life any longer. I don't think two people could have been happier than we have been. V "
My professor, who was my advisor, also committed suicide. She did so five years after her twenty-one-year old son, one of my classmates, took his own life because, as she told me, he had "lost his capacity for happiness." While this is a dark entry, I am posting it to say that I have fought the darkness. I am able to work again. More importantly, I am able to live with happiness. Please remember to be more open-minded about people with mental illness. Be kind. Stigma and shame do so much damage and cause unimaginable pain and isolation. ...my dear Maura... this is an excellent 'let's stop an remind ourselves' kinda post,and i LUV IT!... it is also a brave post from someone who's been there , and still there in several ways I'm sure ... I can't pretend to understand 100% the illness, but have experienced a different kind of life-sapping, and life threatening affliction, and these days treat it a day at a time with confidence and a great deal of pleasure... your post shines with the sunlight of recovery, and I'm aware there may be times when it may try to pull the sufferer back into it... thanks d for sharing... LUV YA! Seumas, My thanks to you is long overdue. To have a blogger of your stature, and a gentleman of your caliber, offer such praise is such a gift. I think every human being has to deal with affliction and adversity in each one's lifetime. I'm hoping the worst days are behind me. But, to echo what you wrote, we should each take each day as it comes, and find the joys, small and large, which life offers. Luv ya right back!